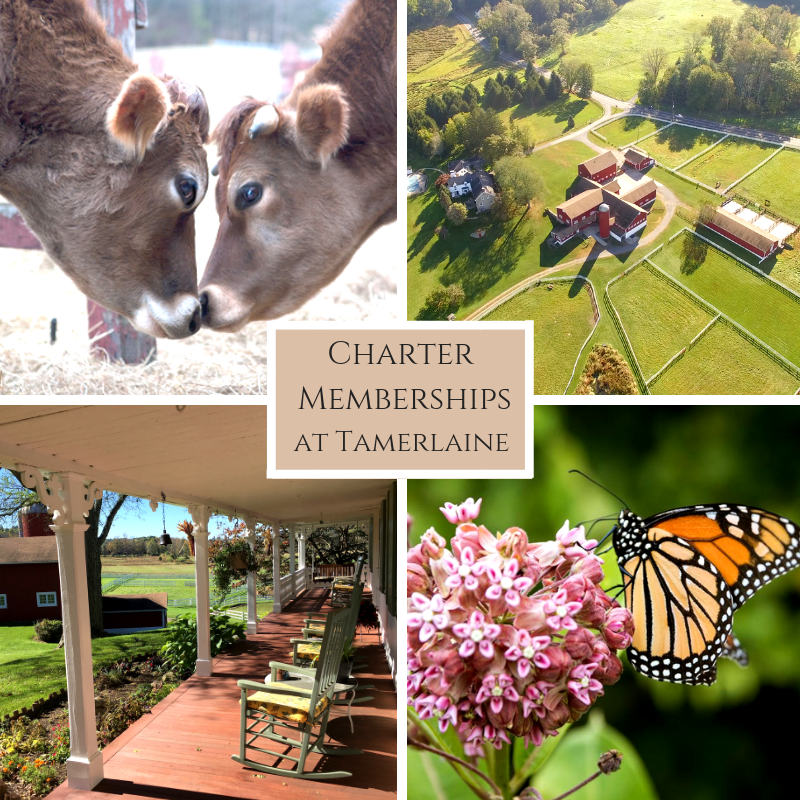 Join our community and become an integral part of our historic 336-acre Tamerlaine Sanctuary. Members are welcome any time for complimentary tours of the property and visits with the animal residents who love human connection. We host intimate events for our supporters at the Sanctuary and in New York City. Our members receive complimentary tickets or special member pricing for all events. Upcoming events include 'High Tea' this spring at The Inn at Tamerlaine, a moonlit 'Midsummer Night's Dream' under the pines and stars at the Sanctuary, our ‘Tribeca loft cocktail parties,’ ‘summer cookouts’ at The Inn at Tamerlaine’s heated saline pool which overlooks the expansive property and first access to our extraordinary public events, such as our annual ‘Flocktoberfest’ and live performances by artists and musicians. Our members will have first access to booking at our Volunteer Farm Stay before we open to the public, in addition to discounts and priority booking year round. Enjoy discounts on Tamerlaine merchandise and hot sauces and perks from curated partners. In 2019, our members will have an exclusive invitation to the private opening of our brand new animal hospital. Our members will also be the first to participate in our plans for a conservation program, coming in 2019.